MISSING AT SEA: Scott and Jennifer Hansen have been missing and are presumed dead since last being seen on St. Croix the first day of Hurricane Maria’s passing — Sept. 19, 2017. CHRISTIANSTED — Friends and family say they are still holding out hopes — against all odds — that a Texas couple who went missing during Hurricane Maria is still alive. The couple took off on their catamaran from their home in St. Croix on Sept. 19 to avoid Hurricane Maria. Jennifer Stephens Hansen, originally from Gonzales, Texas and Scott Hansen haven’t been seen since then, although their capsized boat was found three days later with no dinghy attached. U.S. Coast Guard crews stopped searching for the Hansens in the second week of September. They are presumed dead. 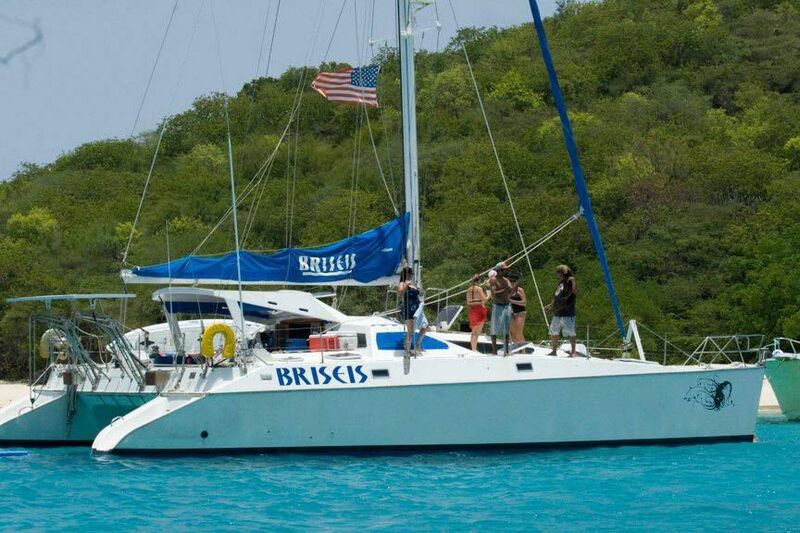 The Hansens boarded their boat, the Briseis, about 4 a.m. on Sept. 19 from St. Croix and headed for Maho Bay St. John. The Briseis was found capsized on Sept. 22, roughly 20 miles south of the southeastern coast of Puerto Rico. Pecot, who met Jennifer when they both worked at Wells Fargo in Baton Rouge, said Jennifer is “hugely positive” and “infectious,” attributes that led her to settle on the islands almost nine years ago. Scott Hansen has lived on the island for almost three years, Pecot said, and was close to buying the catamaran when he met his now wife. The couple tied the knot within the past few months. Pecot and Hansen’s daughter post regularly to the Facebook page with updates and new information on the search. “All we can ask is to let as many people know as possible that we’re looking for them and trying to bring them home,” Pecot said. Sources close to the family said the couple took the risk because they survived a similar storm situation previously on the catamaran and that they were hoping to use the story of their survival after Hurricane Maria as a money-making venture from TV versions of their account.